Ideal for SOHO users, the Canon LaserBase MF-3220 is a compact multifunction unit. 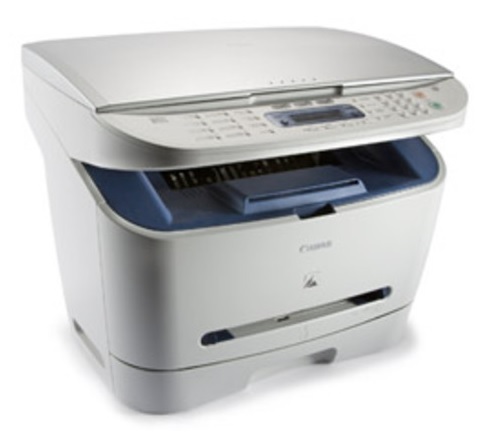 It can print, copy, and scan and uses monochrome laser printing technology. Its warm-up time is quite quick at 8 seconds. To handle different copy, scan, and print jobs, this unit is installed with 32MB memory. Networking connectivity is not offered. The Canon LaserBase MF-3220 measures 17.7 x 19.2 x 14.5 inches and weighs 24.25lbs. It has a flatbed scanner, which is covered with a lid. The control panel features a display, numeric keypad, and organised function buttons. This model also features an output tray and a paper cassette, plus a manual feed slot. For connectivity, a USB port is integrated. Not only does the Canon LaserBase MF-3220 help save space, it can also save resources and time. It offers toner save mode and can deliver up to 99 copies continuously. The print resolution can go as high as 1200 x 600 dpi and the print speed is quite decent at 20ppm. For a small unit, its paper tray has a high capacity at 250 sheets. Networking connectivity is not offered and the Canon LaserBase MF-3220 does not have a USB host for direct printing. It also lacks an automatic document feeder and standard duplexer for automatic double-sided printing.